THERE are some thirsts that just aren’t quenched easily – Game of Throne fans’ pining for the show’s final season, for example. Worse yet: in August, all joy turned to ashes in our mouths when rumours (originating from a HuffPost interview on Emmy eligibility) divining a delayed release started circulating. Fortunately, that debilitating fear of an extended wait can be laid to rest now. HBO personally swung the axe on those speculations with a single tweet earlier this week, indirectly confirming the show’s on track for an April 2019 premiere. Now that warrants a bloody drink, we say. And – as if on cue – Johnnie Walker’s just dropped a special edition blend in Singapore that’ll serve well. Forget Christmas, are you ready for another Long Night? 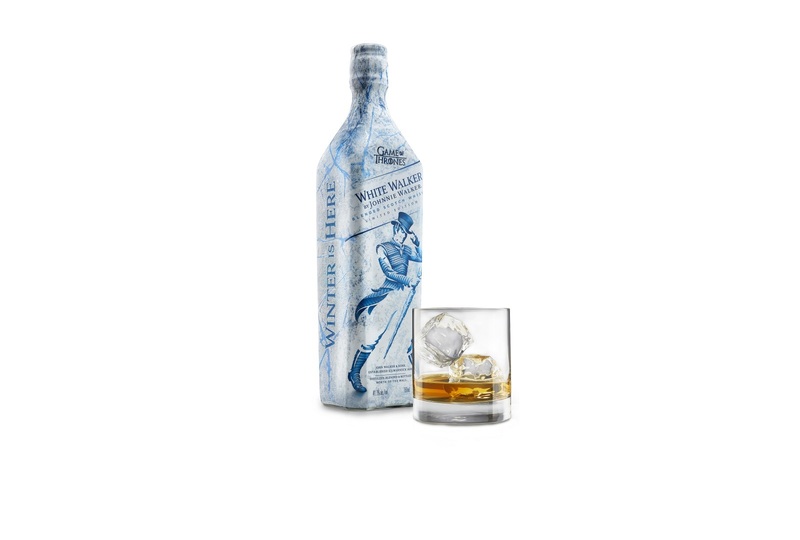 Titled White Walker – obvious brand synergies here – the scotch works in Cardhu and Clynelish, the latter of which is one of Scotland’s northernmost distilleries. Diageo whisky specialist George Harper, who was responsible for the blend, wittily drew parallels between Scottish winters and the ones endured by those north of the Wall. The designers have also swapped out the Striding Man’s raiments for a suit of White Walker armour, slapped on those trademark ugly horns, and given him a sceptre of some sort (confirmed not to be a dragon-slaying javelin). Hint: See side of bottle. That’s right – temperature-sensitive wording appears along the side of the bottle when it’s frigid enough, fulfilling the prophetic words of House Stark. Truly final season stuff. Finally, if your pockets are feeling deep and you want to prep for the actual episodes in style, you could consider snagging this other Diageo complete collection that may or may not make it to Singapore. Check back for updates. UPDATE: They’ve made it! They’re available from 1855 The Bottle Shop stores or online at AsherBWS. More whiskies, each with characteristics matched to the one of the seven houses of Westeros – and Oban for the Night’s Watch. Our advice? Take the black… and the Lannister gold, too.